Jane Davenport SPLAT MAT Mixed Media 15 x 24 Inches 342069 at Simon Says STAMP! 342069 This item is on reserve until If you would like to reserve this item now, you may purchase it now with the rest of your order. We will hold your order now and ship your entire order as soon as this item is back into stock. If you would like your order to ship now, please place this item on a separate order. Success, Jane Davenport SPLAT MAT Mixed Media 15 x 24 Inches 342069 has been shared! Approximately 15 x 24 inches is the perfect size to protect your table. The mat is made of high gloss waterproof material that can also be used to mix inks and paints. Wipe clean with a damp sponge or baby wipe. It features an inspiring message and artwork from Jane on one side, and is plain on the other. 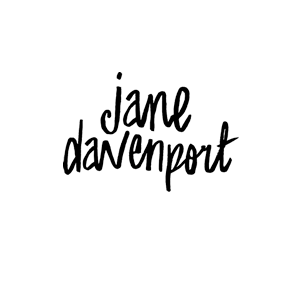 Jane Davenport is an Australian born artist with a passsion for creating and teaching. She started in fashion and later developed a love of photography. You will see both genres heavily influenced in her design choices and fearless use of color! For a great blend of mixed media variety and beyond, peruse the whole brand!